Organic rice is becoming highly sought after as the worldwide population embraces the importance of healthier food and environmental sustainability. By utilizing bio-fertilizers and other organic nutrient sources, the resultant rice crop is healthier and more nutritious for the consumer. Whole grain organic brown rice is an excellent source of healthy nutrients such as fiber, phytochemicals, and essential minerals while lower in calories. Not only do whole grains promote good digestion and healthy weight management, but they may help reduce the risk of heart disease and certain cancers. Eating organic rice offers additional health benefits. When compared with conventionally grown food crops, organic foods contain less pesticides and food additives, minimizing your exposure to harmful chemicals. Whole grain rice includes the outer husk of the rice and retains the maximum fiber content. In addition to the potential health benefits of organic rice products, many businesses and consumers choose organically grown foods, including organic brown rice, for environmental reasons. Organic farming practices benefit the environment by reducing agricultural chemicals, conserving water, and reducing carbon footprint. At Interra International, we have experts in the rice trade. We know our rice. We source premium wholesale rice products from all over the globe. 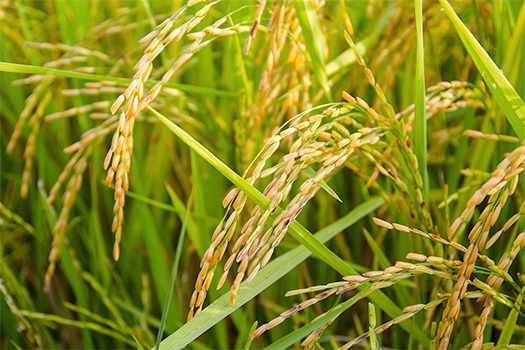 Our wholesale rice suppliers meet the highest standards of quality. With worldwide sources and expert trade and supply chain solutions, we provide the best prices, selection, and packaging options for our business clients. Contact us today for details.